A Payless ShoeSource store is seen in Orlando, Florida, on Sunday, Feb. 17, 2019, the first day of the firm's liquidation sale after confirming on Friday that it will close its stores in the U.S. and Puerto Rico. 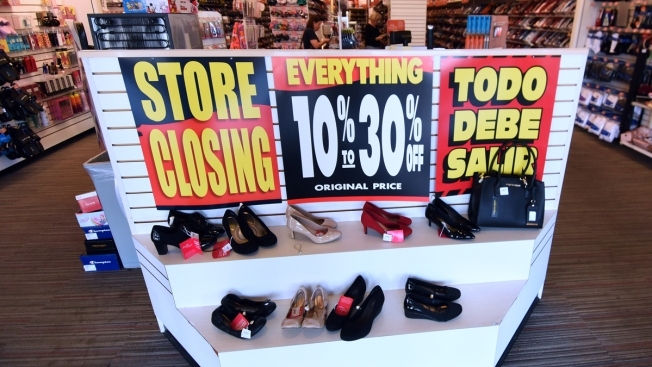 Payless ShoeSource has filed for Chapter 11 bankruptcy protection and is shuttering its remaining stores in North America, with gift cards and store credit good until March 11. The filing on Monday came a day after the shoe chain began holding going-out-of-business sales at its North American stores. The company said Wednesday that it received court approval to support the orderly closing of about 2,500 stores in the U.S., Puerto Rico and Canada, as well as its e-commerce business. The company, based in Topeka, Kansas, initially said it was closing 2,100 stores on Friday when it confirmed it was planning to liquidate its business. It has reiterated that stores will remain open until at least the end of March and the majority will remain open until May. Payless said Wednesday that it will allow returns and exchanges of non-final sale items through the end of this month for goods bought before Feb. 17. It's also received authorization to pay employee wages and benefits, as well as claims from critical vendors. "The challenges facing retailers today are well documented, and unfortunately, Payless emerged from its prior reorganization ill-equipped to survive in today's retail environment," said Stephen Marotta, Payless ShoeSource's chief restructuring officer, on Monday.